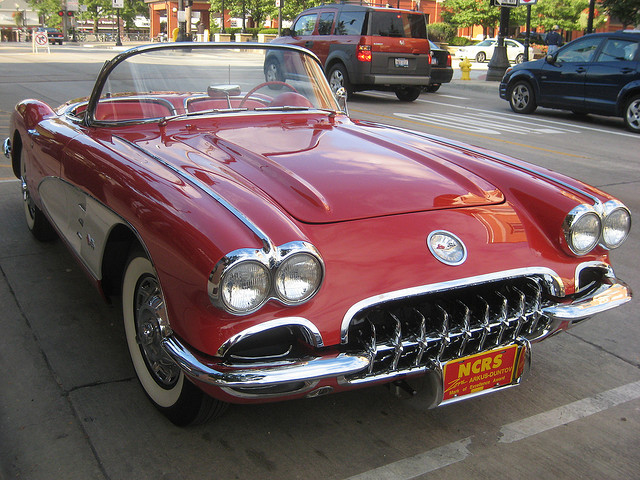 1959 Red Chevrolet Corvette C1 Convertible; photo by Kate Skegg on Flickr (noncommercial use permitted with attribution / share alike). Kentucky designated the Corvette as the official state sports car in 2010. The National Corvette Museum is located at 350 Corvette Drive in Bowling Green, Kentucky.